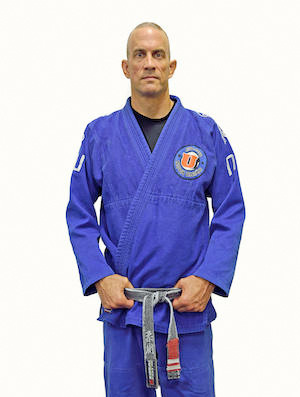 Gary Matsch has been training in BJJ since 1996 and received his Black Belt from Gustavo Dantas in 2008. Prior to studying BJJ, Gary studied Tae Kwon Do for 3 years. After watching Royce Gracie dominate his opponents in the first UFCs, Gary was inspired to learn BJJ and in 1996 started training at the Gracie Association followed by the Machado Association, both in AZ. In 2000, he left the Machado Association as a Purple Belt to train under Gustavo where he has trained ever since. Gary has been teaching the early morning BJJ classes at Gustavo’s BJJ academy for over 10 years. In 2013 and 2014 Gary spent much of his time in England for work where he trained as a guest at both Braulio Estima’s academy and Roger Gracie’s academy. Gary has many competition accomplishments, most notably winning 2008 Pan and American National IBJJF Championship titles. Gary has Bachelor of Science degrees in both Nutrition and Mechanical Engineering and works in the Aerospace Industry. Gary is an entrepreneur as well and is married and has two boys.